form using the insect pests own enzymes, effectively differentiating between target insect pests and non-target organisms. This natural process helps Arilon achieve more comprehensive control of pest populations. Arilon is approved for use in and around both household and commercial/industrial locations giving it a broad application space. 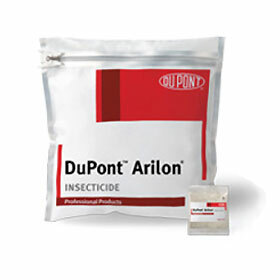 Would you like to see the DuPont Arilon Label?